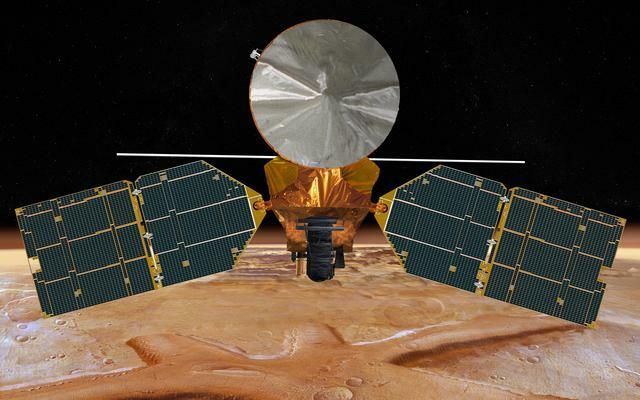 Mars Reconnaissance Orbiter used a new spacecraft design provided by Lockheed Martin Space that was smarter, more reliable, more agile, and more productive than any previous Mars orbiter. It was the first spacecraft designed from the ground up for aerobraking, a rigorous phase of the mission during which the orbiter used the friction of the Martian atmosphere to slow down and settle into its final orbit. When fully assembled and fueled, the spacecraft could not weigh more than 2,180 kilograms (4,806 pounds) or the Atlas V launch vehicle would not have been able to lift it into the proper orbit. All subsystems and instruments on board (the so-called "dry mass") had to weigh less than 1,031 kilograms (2,273 pounds). This was necessary to make room for 1,149 kilograms (2,533 pounds) of propellant for trajectory correction maneuvers that would keep the spacecraft on target during the cruise to Mars and for burns that would help capture the spacecraft into orbit around Mars.